New Places, Familiar Faces At Tea, we pack our bags every season to travel the globe in search of new friends in faraway places. We love sharing our stories with hopes of encouraging families like yours to engage with the world both around the corner and across the globe. This spring, we celebrate Southeast Asia. We explored the sea life, fun folklore, and spicy street food of Vietnam and Laos. A personal highlight for me was collaborating with Erwan and Florence, the founders of Metiseko. They design an organic line of fashion and home designs, only available in Vietnam. We are delighted to share our Metiseko x Tea Collection with you on pages 10-11. Welcome to our Southeast Asia-inspired collection. See complete collection at TeaCollection.com/SoutheastAsia Follow our journey on Instagram @tea_collection Join the conversation #wegothere #teacollection Available for children size 0-16. We collaborated with designers Erwan and Florence of Vietnam-based Metiseko to create this special design. We support all little citizens of the world. Mekong Memories The magic of the holidays are in the memories they bring. This holiday, our Mekong Daydreams collection captures joyous spring traditions in charming Vietnamese patterns, perfect for dressy family occasions. The Wrap Neck Dress Wrap her in a timeless family favorite. New styles with embroidered ruffle sleeves she’ll want to wear over and over again. Metiseko × Tea Collection Husband-and-wife duo Erwan and Florence tapped into their mutual love for ecology and fashion to create their brand, Metiseko. “Metis” means someone of mixed heritage while “eko” refers to ecology. Our Tea designers collaborated with them to create this special Vietnam-inspired collection. Be-Tween Styles Tea– designed style especially for her in swim, dresses, tees, and more. The Perfect Pair Create playful looks in whimsical Asian-inspired tees and shorts that match her personality. The Trapeze Dress Knit dresses designed to hold up against all her twirls, flips, and trips. 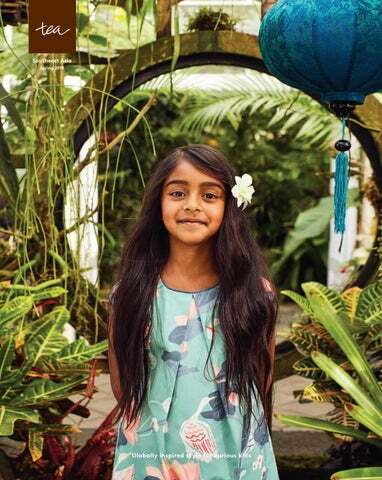 Hello, Hi-Lo Heirloom quality and made of 100% breathable cotton, the Hi-Lo Dress brings comfort to explorations big and small. Tees of All Types Meet creatures of the land and sea on our colorful graphic tees. Drawstrings, sleek pockets, and surfboard–inspired details make this soft terry short an easy choice for all their adventures. Roll them up or roll them down, these two-tone gym shorts are a great choice all around. Durable and dependable, these shorts are designed to withstand their roughest and toughest adventures. 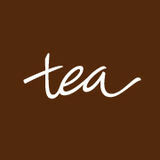 Every single Tea purchase gives back to the Global Fund for Children. Contact your local store to see if it’s participating in this offer. New customers only. One time use. Cannot be used toward the purchase of gift certificates or everyday play sets. Cannot be combined with other offers. Cannot be used toward the purchase of Patagonia, Livie & Luca or Saltwater products. Not redeemable for cash. Expires 4/3/2019 at 11:59 pm PT.